MAPECON Philippines, Inc. is one of the leading pest control companies in the Philippines. It provides environment-friendly solutions for pest problems in homes and commercial offices. With 56 years of experience, over 38 patents, and 100% authentic Filipino products, MAPECON aims to provide clients with a pest-free environment. This mission is made possible with their 44 branches nationwide. Today, MAPECON has grown from a single proprietorship entity to a multimillion-peso corporation with approximately 400 employees nationwide. It has numerous branches all over the country, located in the provinces of Cebu, Bacolod, Cagayan de Oro, Zamboanga, Davao, Legaspi, Baguio, Palawan, and many others. MAPECON was recognized by the Philippine government and came up with a social commitment by formalizing the Health Circular No. 155 and Presidential Proclamation 990, implementing the 5-principle program for Urban Pest Control. As part of MAPECON’s commitment, it donates 20% of its profits in the form of pest control services, products and training programs to the poor or destitute areas. One percent of its gross monthly revenues or 10% of its profit also goes to a fund account as part of its corporate social responsibility to provide financial assistance to employees, give donations to charities, and to support a response team for disaster relief. 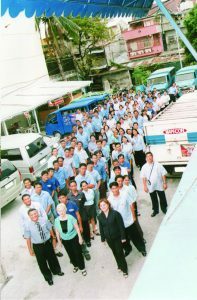 MAPECON Philippines, Inc. is located at Mapecon Building, 2459 Arellano Avenue, Singalong, Manila, 1004. Contact their head office at 0920-9113886 / 0917-5285709 / 0922-8242295 for inquiries.